Kids, Cops & Classrooms – Members of law enforcement throughout Rhode Island are being asked to collect new backpacks and school supplies to benefit the hundreds of children who are clients of our Community Outreach partners. The goal of the program is to help relieve the burden parents experience when they prepare to send their children back to school and to show children that law enforcement officers are their friends and are in the community to help them. 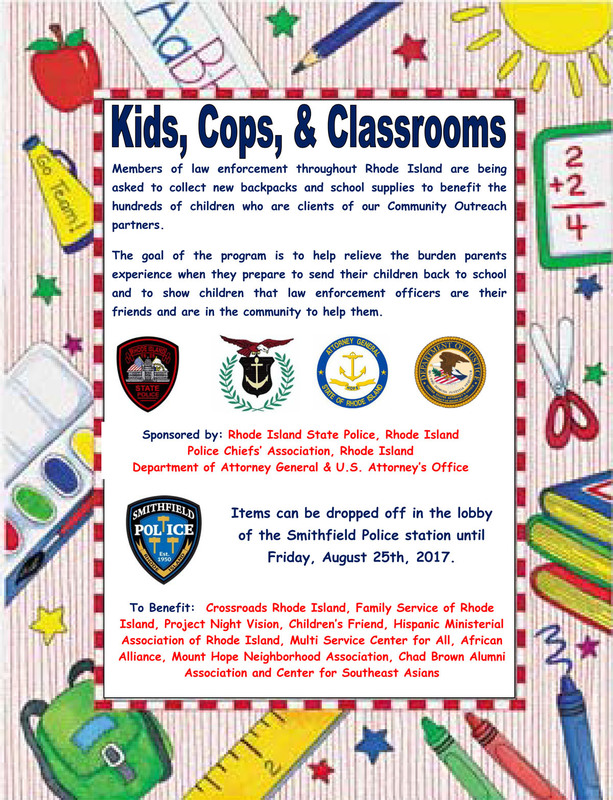 Items can be dropped off in the lobby of the Smithfield Police station until Friday, August 25th, 2017.